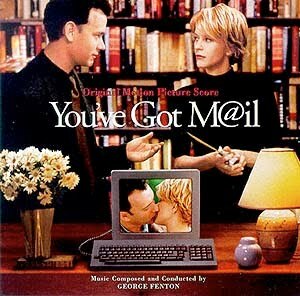 “It’s not personal, it’s business.” – quote from my favorite movie, You’ve Got Mail. The Tom Hanks character says it to the Meg Ryan character as he’s putting her little Shop Around the Corner out of business. Reminds me of something I’ve been talking over with a friend of mine lately. Over Thai food this Friday night, the question kept coming up- what’s personal, and what’s business? As someone who notoriously does not keep my cards held close, a difference between business and personal used to make little to no sense to me. A relationship is a relationship! Screw me over in business, you’ve screwed me over in life, end of story. But after 1 year nannying someone else’s babies in NY, 2 years in a poorly lit cubicle at a Marketing Company (ironically, with the aforementioned Thai food buddy,) and now knocking on the door of the typical 18 month life span of a youth worker, I’ve seen that this is not the case. Turns out most people feel that business and personal are different. The problem is- seems that everyone has a different idea of the blurred lines between the two. It appears that everyone in today’s workplace attended a different “Standard Business Practices 101” in College, rendering us in not only different pages, but entirely different books when it comes to these matters. This can be very frustrating! Bears to mention, of course, that looking inward has me even more frustrated in this area. Why am I so confident in ‘real life’ but lose it when it comes to a big meeting with the Big Dogs at the Big Ole Church where I work? Why do I trust my viewpoints in life, but not at work? Seems I have my own double standards going on. So here’s the question- where are the lines in your life? Do you have the same confidence as a professional as you do in ‘real life’? Are you as trustworthy at work as you are as a friend? Are there people in your life that you like as a person, but not as a co-worker? And I think that’s true as well… what’s business to some is very personal to others. I agree! I identify much more with Meg Ryan’s character in that movie. It’s all personal to me! I think- integrity says that you’re the same person “on and off the field.” Right? Right. Took me a while to learn that I needed to be the same person at school that I was at home- including taking my faith to school. We are to do our work “as unto the Lord”, and whether that work is at a school, a business, or a church, it is all sacred. Christina – your words are well placed. Who writes the book on this stuff? The real book (not the “how it should be” or “how it could be”)? Anyway, wise words from mom!